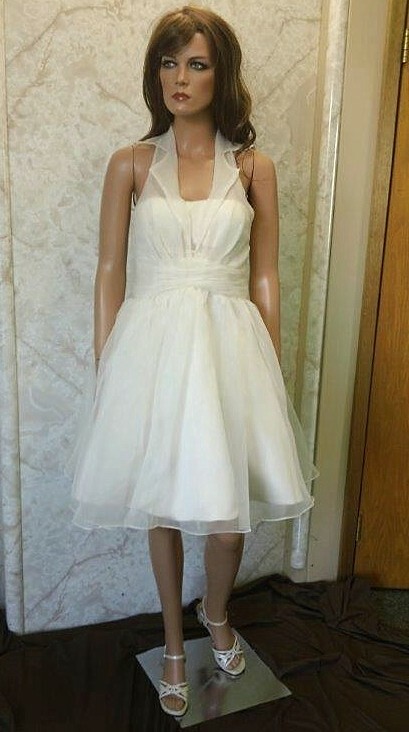 Short wedding dress with shirt collar neckline. 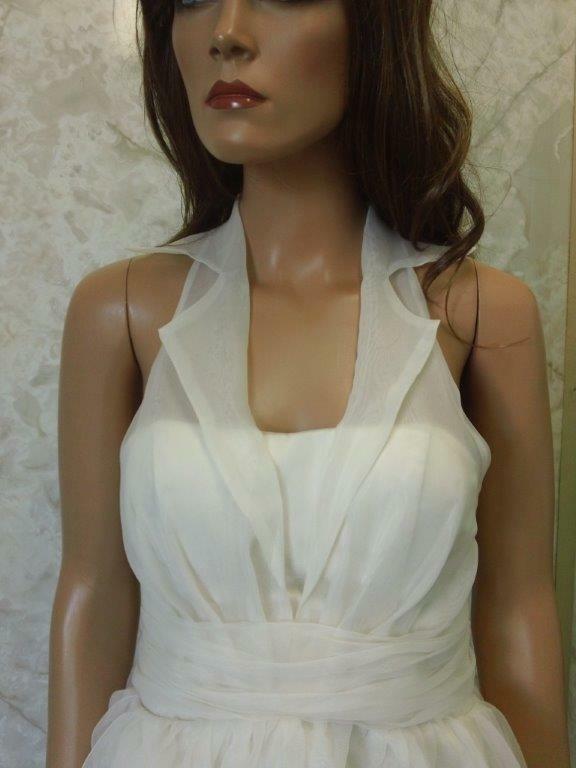 Short Satin Organza halter dress with shirt collar neckline. Gowns can be custom fit to your unique measurements. If desired, we will custom fit your gown to your unique measurements. 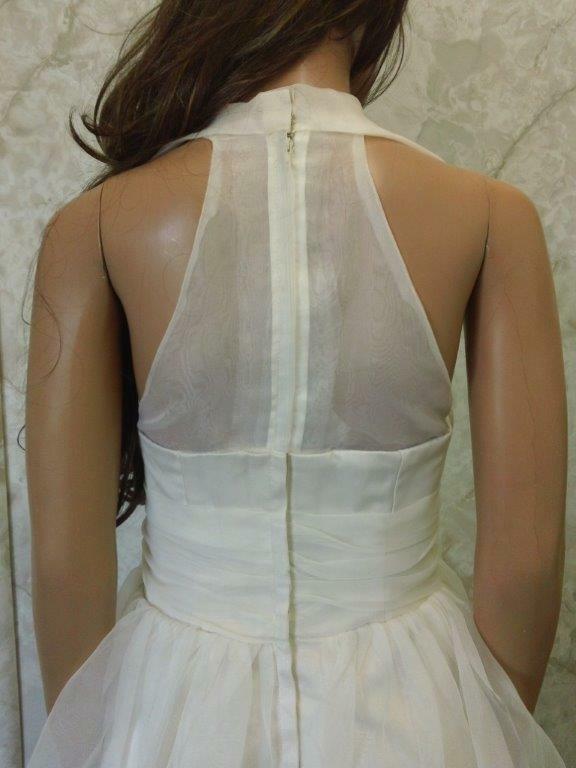 Brides also have the ability to modify basic features of certain gowns, such as changing the neckline or the skirt style. Ask your consultant about the customization options for your gown. 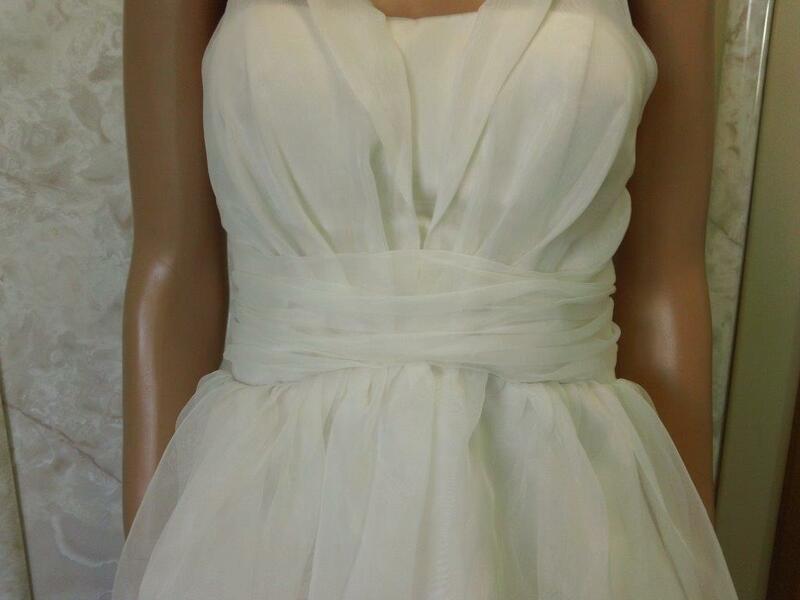 Short satin organza halter dress with shirt collar neckline, a-line, knee-length gown. If you order a Custom Wedding Dress it is tailor made to fit your unique body shape so that you will have a lovely fit all over. Modifying dress styles is one of our common practices. If you wish to customize any dress to meet your own style. Brides Dress delivery is 8 weeks.